FS - Price reduced - Sanderson Breathe 16" frame. 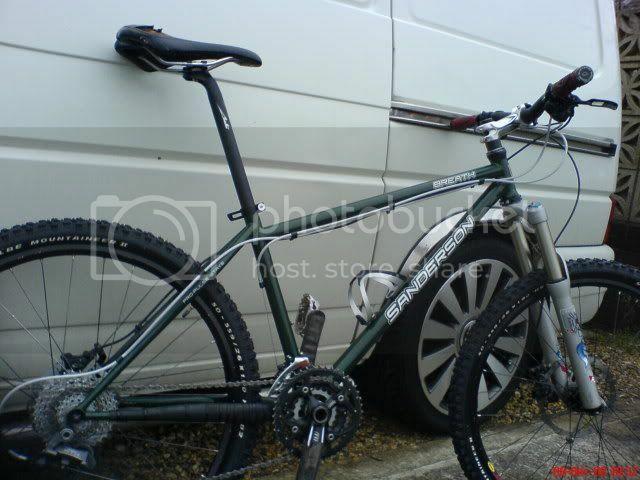 Post subject: FS - Price reduced - Sanderson Breathe 16" frame. 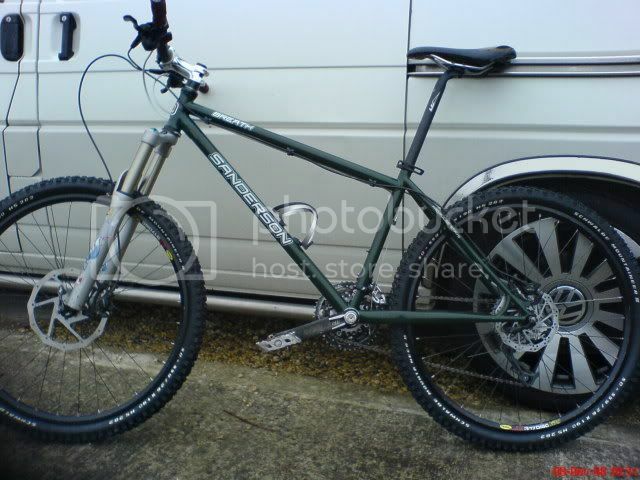 Hi there, I have a 16" Sanderson Breathe steel hardtail frame in green, usual chips in paint work but no dents or damage to frame. Comes with a FSA pig headset and a un branded seat clamp. Reason for sale - Too small for me. I'm gutted to have to sell but I've already bent a seatpost cos its too small! Looking for £130 ovno. Plus post and packing. Last edited by novo on Sun Jul 10, 2011 9:16 pm, edited 2 times in total. trying to decide if it would be too small for me too as i love these frames can i ask how tall you are ?? would you be looking for any trade. got a great retro full sus frame that would fit i am sure. Hiya bud, I'm 5' 11". Got to be honest, its a lovely ride. ooooohhhh i am same height you got long legs ?? Sort of, about 34" from groin to floor! Sorry mate, not looking for swaps just cash. I'm curious -- do Sanderson measure 16" from the centre of the BB to the centre of the top-tube or to the end of the seat tube? give it a good seatpost - maybe a Ti one ? !